Pep Guardiola feels HSV's current plight makes them "very, very dangerous". Hamburg - FC Bayern München can take another step towards retaining their DFB Cup crown when they take on Hamburger SV in Wednesday’s quarter-final at the Imtech Arena (kick-off 20:30 CET). Saturday’s defeat to Hertha Berlin plunged Hamburg even deeper into the Bundesliga relegation mire, and following a run of six straight league defeats stretching back to the end of November, the last thing Bert van Marwijk and his players need is a game against a Bayern side who have won 13 league matches on the bounce. However, while Pep Guardiola admits confidence at the Imtech Arena is likely to be low, the Catalan believes Wednesday’s cup tie could serve as a welcome distraction from Hamburg’s battle for Bundesliga survival. “It’s a completely different competition, and it’s just one game, so we have to play very aggressively with and without the ball,” he said. “The situation at Hamburg makes them very, very dangerous. 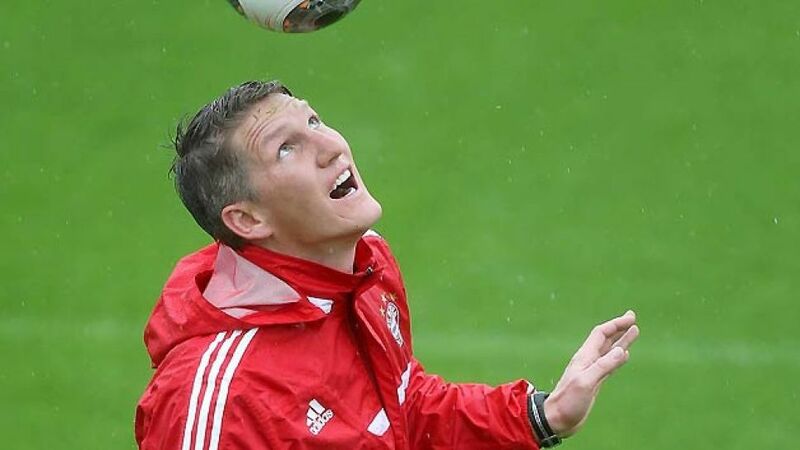 The quality of the team is there, but if you have lost six matches on the trot, their confidence might be a little shaky,” added the 43-year-old, who will decide whether not to include Bastian Schweinsteiger in the Bavarians’ squad for the last-eight tie after training on Tuesday. Franck Ribery, however, remains unavailable for selection. As if HSV’s task wasn’t difficult enough, van Marwijk revealed at Tuesday’s press conference that top scorer Pierre-Michel Lasogga still “isn’t ready” for a place in the starting line-up, despite returning to training following a thigh injury sustained against FC Schalke 04. Marcell Jansen, meanwhile, is also struggling to be fit for the match after suffering a calf muscle injury in HSV’s Matchday 20 defeat to Hertha.